We left Bangalore with the night train to Madurai, Tamil Nadu for a one week workshop at ROPE. Their mission is to create products from natural materials and produce them with rural artisans for the global market. Because ROPE is growing constantly they recently opened a brand new fabrication hall where some things still have to be set up to handle new orders. 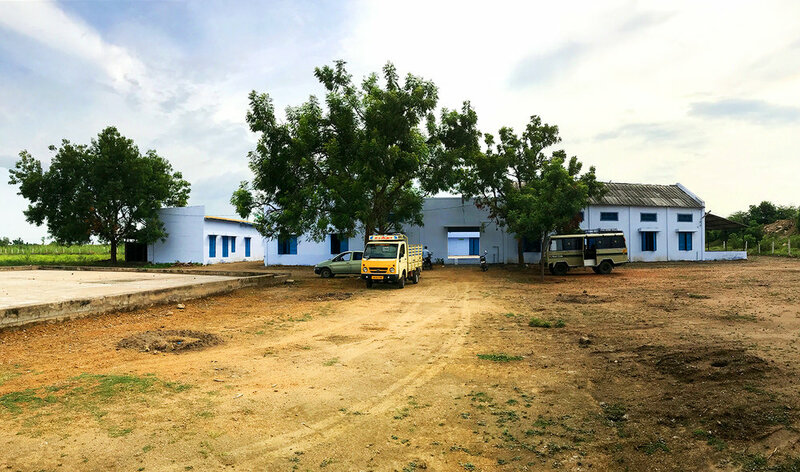 The new fabrication hall and headquarter of ROPE in Kuchampatti. Discussing ideas with Prasanna and the artisans. Banana bark, the raw material for basket weaving. Artisan Pappa is weaving a first prototype. 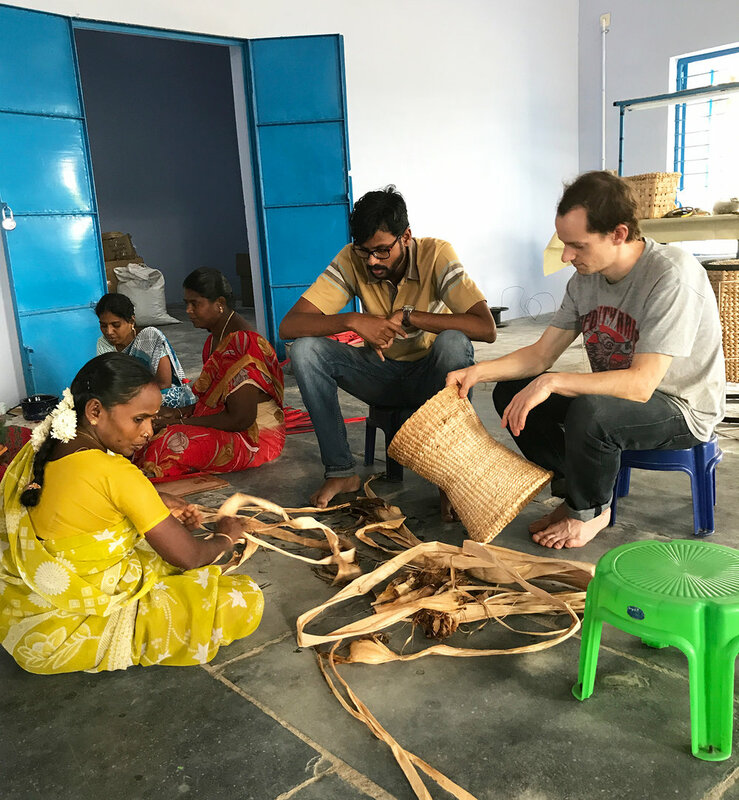 Sumathi is weaving around a metal mold. Weaving around a wire frame. Great outlook for a sustainable impact.